U.S. Rep Marcia L. Fudge (D-OH), Cleveland Jobs With Justice Coordinator Debbie Kline, and a host of Democrats and unions from across the state of Ohio are asking voters to vote "No, No, No in November." They say vote no on Issue 1, a state issue as a constitutional ballot amendment that raises the mandatory retirement age for elected judges of Ohio from 70 to 75, and no to Issue 2, a state issue that has unions furious at the Republicans, mainly Gov. John Kasich, and would keep intact Senate Bill 5, a yet-to-take-effect law passed earlier this year by the Republican controlled state legislature that, among other stipulations, strips unions representing public employees of binding arbitration, the right to bargain effectively andthe longstanding right to strike on working conditions and wages. And they urge voters to also say no to state Issue 3, a measure also on the Nov. ballot that gives Ohio the option to opt out of the federal health care plan dubbed "Obama Care." 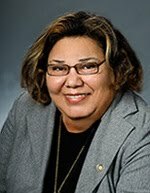 "The congresswoman is not in favor of changing the Ohio Constitution to increase the mandatory retirement age to 75 of Ohio municipal, common pleas and appellate court judges," said Belinda Prinz, a former Cleveland Fox 8 News reporter and the Director of Communications for Fudge, a Warrensville Hts. Democrat whose predominantly Black 11th Congressional District includes parts of Cleveland and its eastern suburbs. "The congresswoman says triple no to Issues 1, 2 and 3." Kline, whose local Jobs With Justice group is part of a national organization that supports unions, also said that Ohio voters should take a triple no position on the three state issues on the Nov. ballot, issues that together are unprecedented in terms of the partisan impact. 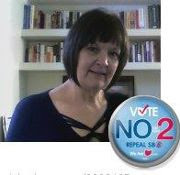 Democrats and unions are saying no religiously to Issue 2 and also primarily to Issues 1 and 3, and Republicans are hollering a triple yes on the controversial ballot measures with both sides spending millions of dollars on television and other media ads. "We are asking voters to vote no, no, no in November," said Kline. "The future of Ohio is dependent upon unions retaining the right to bargain collectively and effectively for the rights of public employees so vote no on Issue 2." Both Kline and Fudge say that unions have lifted the bar for fair wages and amicable working conditions whether employees belong to a union or not. 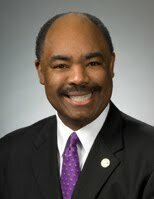 State Rep. John Barnes Jr. (D-12), a Cleveland Democrat, agrees. 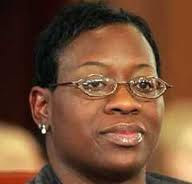 "Voters should vote no on Issue 2 to repeal Senate Bill 5," said Barnes, who is among a group of Black Democrats in the Ohio state legislature that, like their White Democratic legislative counterparts, oppose Issue 2, including State Senators Nina Turner (D-25) and Shirley Smith (D-21) of Cleveland, State Reps. Bill Patmon (D-10) and Sandra Williams (D-11), also of Cleveland, and Rep. Barbara Boyd (D-9) of Cleveland Hts. Fudge says that a vote against Issue 2 to repeal SB 5 is all that Blacks and others can afford to do because unions are the cornerstone of a Democratic society. 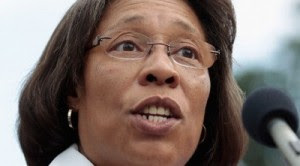 “I firmly support the right of public employees to collectively negotiate, and who are we as a nation when we tell our firefighters, police and other public protectors that they deserve to have no say in their working conditions,” the congresswoman said in a press release in opposition to SB 5 . Blacks sitting on Cuyahoga County Council oppose Issue 2, as does Cleveland Mayor Frank Jackson. 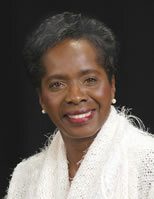 "The mayor continues to be against Issue 2," said Andrea Taylor, Jackson's press secretary. 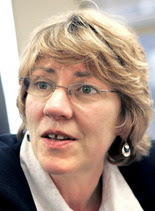 Ask to respond to claims by Kasich and Republicans that Ohio's public sector unions have difficulty compromising and have used arbitration and other collective baragining venues to bully management to the detriment of Ohio taxpayers, Harriet Applegate, executive secretary of the North Shore AFL-CIO Federation of Labor, said that Kasich and other Republicans for Issue 2 are being disingenuous. "They are lying," said Appelgate. '"SB 5 is dangerous to working and middle class people." 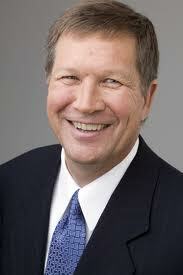 Issue 2 is Kasich's baby, and may one day prove to be his political demise. The governor's approval ratings dropped as low as 33 percent when unions across the state began gathering the necessary signatures to put SB 5 on the Nov ballot as a no vote to Issue 2, and if Issue 2 fails as unions hope, SB 5 would be repealed and would not go into effect as law. In a May Quinnipiac Poll taken after SB 5 passed the state legislature only 38 percent said they approve of the way Kasich is doing his job, and that number dropped to 35 percent in a new poll conducted between July 12-16. The margin of error is plus or minus 2.4 percentage points. But sliding poll numbers have not lessened the governor's zeal to subordinate and defeat Ohio's unions on the controversial collective bargaining matter. He says that unions have become too expensive, and too powerful. “This is a major step forward in the imbalance between taxpayers and the government and unions that work for them,” said Kasich in a press statement in support of SB 5. Now an Ohio public employee himself, Kasich narrowly defeated then Gov Ted Strickland last Nov. as part of a Republican sweep of statewide offices. Reach Journalist Kathy Wray Coleman atwww.kathywraycolemanonlinenewsblog.com ,ktcoleman8 [at] aol [dot] com and phone number: 216-932-3114. Submitted by JournalistKathy... on Mon, 10/24/2011 - 05:43.